Christie Aschwanden – Journalist, author, editor. 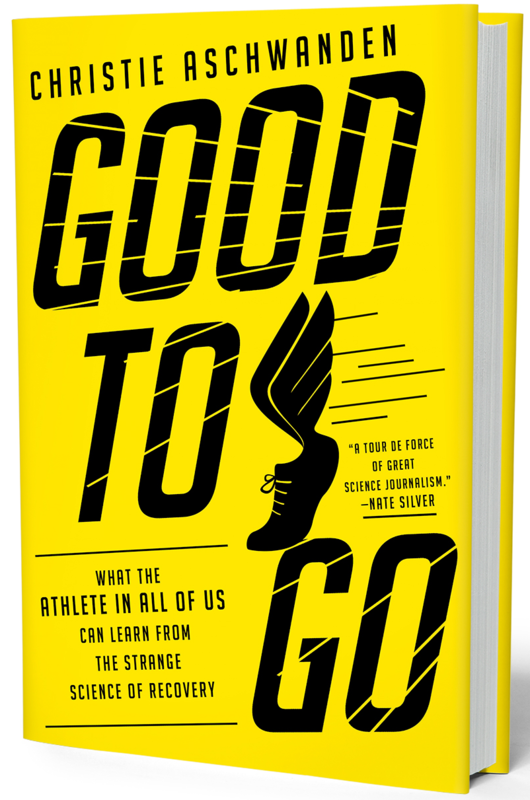 Christie Aschwanden is the author of GOOD TO GO: What the Athlete in All of Us Can Learn From the Strange Science of Recovery and co-host of EMERGING FORM, a podcast about the creative process. She’s the former lead science writer at FiveThirtyEight and was previously a health columnist for The Washington Post. Christie is a frequent contributor to The New York Times. 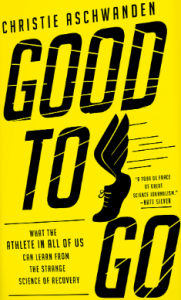 She’s also been a contributing editor for Runner’s World and a contributing writer for Bicycling. Her work appears in dozens of publications, including Discover, Slate, Consumer Reports, New Scientist, More, Men’s Journal, Mother Jones, NPR.org, Smithsonian and O, the Oprah Magazine. She’s the recipient of a 2014/2015 Santa Fe Institute Journalism Fellowship In Complexity Science and was a 2013/2014 Carter Center Fellow. Christie received a grant from the Pulitzer Center for Crisis Reporting in 2007 to travel to Vietnam and report on the legacy of Agent Orange. Her television report on Agent Orange, created in collaboration with producer George Lerner, appeared on the PBS program Foreign Exchange with Fareed Zakaria in June 2007. Her New York Times article about an Agent Orange remediation project in Vietnam’s central highlands was awarded the 2008 Arlene Award for articles that make a difference. Christie was a National Magazine Award finalist in 2011. Other honors she’s received include a Best Article Award (2005) and Outstanding Essay Award (2007) from the American Society of Journalists and Authors, an honorable mention for print journalism from the American Institute of Biological Sciences (2007), the National Association of Science Writers’ 2013 Science in Society Award for Commentary/Opinion, a Sigma Delta Chi Award for Public Service in Magazine Journalism from the Society for Professional Journalists in 2015, and a AAAS/Kavli Science Journalism Award and an Information is Beautiful Award in 2016. She has twice been a finalist for the NIHCM Foundation Health Care Digital Media Award (in 2016 and 2017). A frequent speaker at writer’s workshops and journalism conferences, Christie is the founder of the Creative Convergence freelance writing workshops, which she developed with funding from the National Association of Science Writers. She has taught at the Santa Fe Science Writing Workshop, the Boulder Magazine Writer’s Conference, the Telluride Writer’s Guild and at the Northern California Science Writers Association professional workshop series. More information about Christie’s speaking engagements here. A lifetime athlete, Christie has raced in Europe and North America on the Team Rossignol Nordic ski racing squad. She lives with her husband and numerous animals on a small winery and farm in western Colorado. (Read more about how she found her place in this Oprah Magazine essay.) In her spare time, she enjoys trail running, bicycling, skiing, reading novels, digging in the garden and raising heritage poultry. Christie blogs about science at Last Word On Nothing. Find her on Twitter @CragCrest.